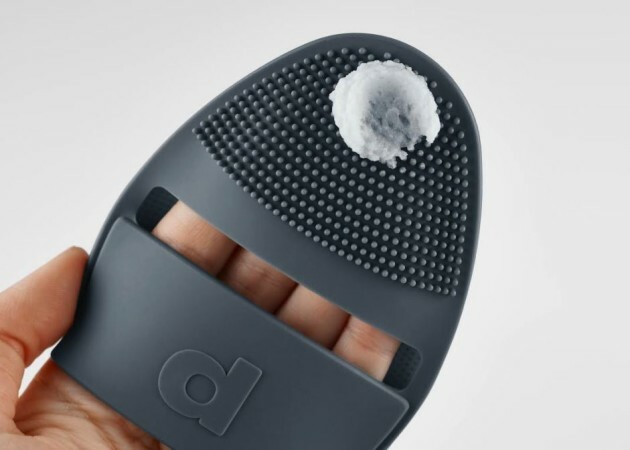 For most women, if not all, removing hair from their neck down to their toes is an integral part of their grooming process. Having perfectly smooth and silky skin makes them feel confident and beautiful. Today, there are many methods of removing this hair, with each of them having their benefits and drawbacks. 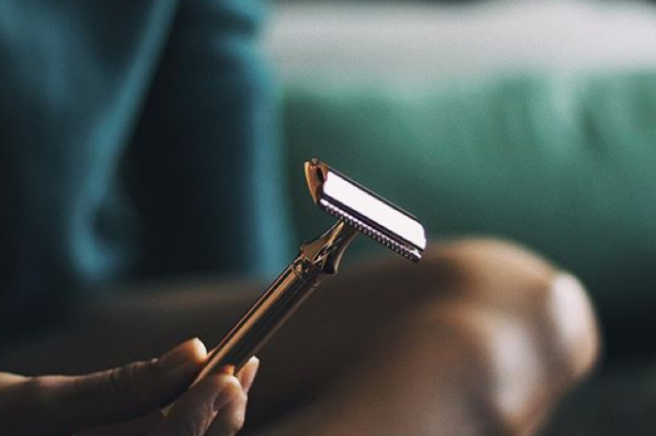 Creams, waxing, laser treatments, and razors are some of the methods, but for most women, it all boils down to whether to choose a shaver or an epilator. 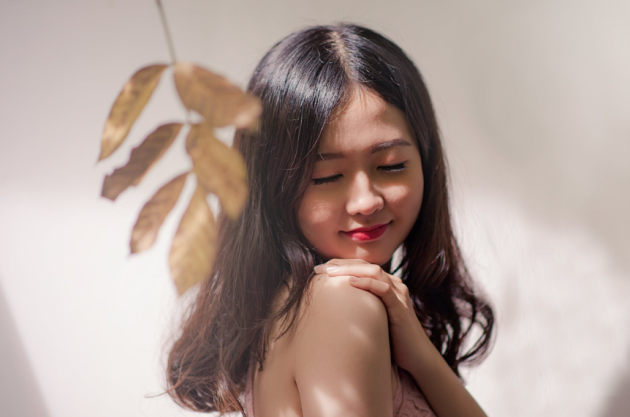 The two hair removal devices are the most accepted among women, especially those who do not want to spend so much in beauty parlours and those looking for a less risky method with great results. But what should you choose between an electric shaver and an epilator? Below we discuss the key differences between electric shavers and epilators to make it easier for you to decide. The primary difference between an electric shaver and an epilator is based on whether the hair is removed below or above the skin level. Shavers use cutters to slice the hair off at skin level, leaving the root under the skin. 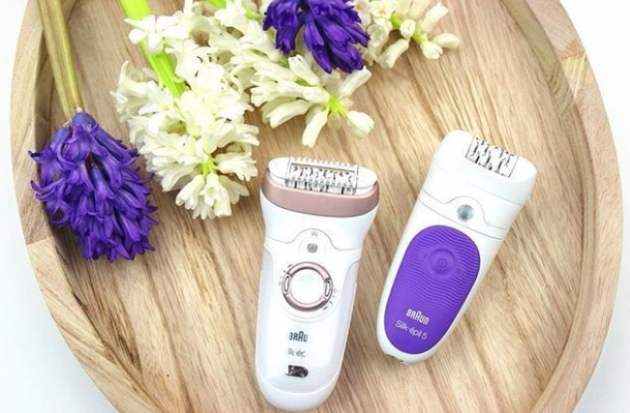 On the other hand, an epilator uses tiny, rotating tweezers to remove the hair at the root level, leaving a much smoother skin. 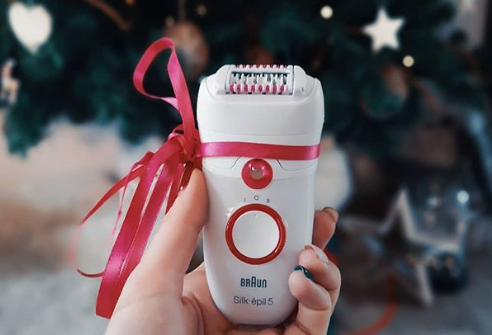 The surface of the epilator rotates as it passes over the skin, grabbing the hairs and slickly removing them from the follicle. Epilators are quite painful and offer a certain level of discomfort, especially your first time. An epilator uses about 15-20 tweezers to pluck out hair from your skin, so you can be sure you'll experience some amount of pain. This pain factor can limit where the device can be comfortably used. For most women, the face, armpits, and genital areas are too sensitive for epilator use. However, most epilators have two rotation speeds, and hence you can use the slower one for such areas. Moreover, once you use it repeatedly, you get accustomed to the pain, and you don’t experience it as such. Applying some ice on the skin surface can help soothe the pain. On the contrary, a shaver will barely hurt since it just trims down the hair. You can comfortably shave even the sensitive parts. However, you need to be careful with the curvy parts, so you don’t cut yourself. Since shaving cuts down the hair at the skin level, it just makes it shorter rather than completely removing it from the skin surface. Though you’ll find the skin smooth right after shaving, the hair will grow quicker, and stubble will be visible in just a day or two, especially if you have black hair. When you use epilators, the roots of the hair are destroyed, and the hair takes a relatively longer time to grow again, offering a more lasting smoothness. When choosing the right hair removal device, it’s important to consider the speed of operation. How much time do you want to spend removing the hair on your legs, arms, and back? Shaving is considerably faster than epilating. This is because, when epilating, you have to hold the device perfectly perpendicular to the skin so as not to break the hair mid-way. When it comes to shaving, you can shave as fast as you can as long as you’re careful not to cut yourself. As mentioned earlier, epilators work by plucking out hair from the roots beneath the skin. This leaves a smoother skin surface, and since the roots are destroyed, hair takes much longer to grow again. In addition, the hair that grows is much thinner than before. On the other hand, shavers cut hair at the skin’s surface, leaving a relatively rougher skin and the hair grows much faster. In addition, the hair that grows after shaving is thick and coarser than the previous. Therefore, it is quite clear that epilators offer better results in terms of smoothness and durability hence are more effective than shavers. The two devices also have different requirements regarding how long the hair should be to successfully remove it. Typically, an epilator is most effective when the hair is at least 0.25inches in length. On the other hand, a shaver can cut the hair at any length, even that which is closer to the skin. 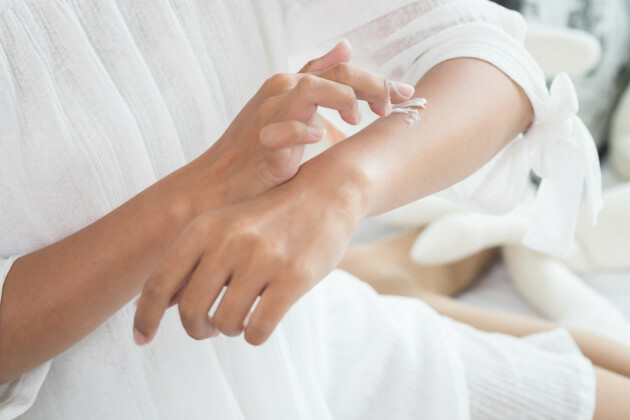 An epilator can cost you between €26 and €180 depending on the quality of the device, brand, and the features offered, but there are no other costs once you’ve bought it. Electric shavers, on the other hand, are cheaper, ranging from about €8 to €80. However, you will need to replace the blades now and then. 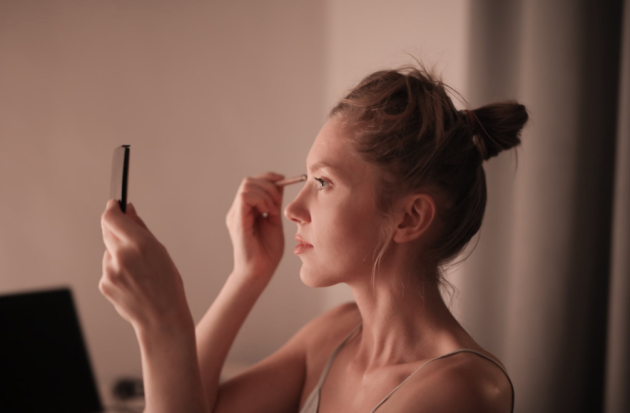 Those of us who go head-to-head with our oily skin daily will relate to the eternal struggle of wanting to have hydrated skin, but trying not to look like a high-shine mirror throwing out spotlight reflections from our faces. IS THIS TOO MUCH TO ASK, PEOPLE? It’s fine. I’m fine. The shine show must go on. Now that it’s Winter, the game is changing. 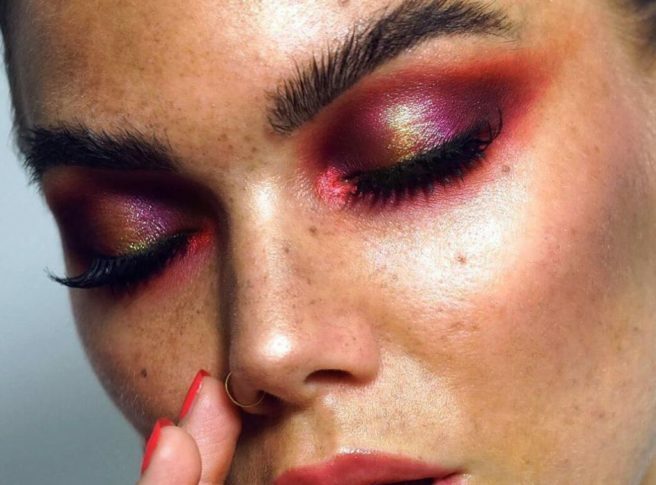 We’ve put together a Beauty Bible of sorts on the Great Oily Skin Battle of 2018. It’s a thing. Our skin of course is more than just dry, oily, acne-prone etc. We are nuanced beings, and this is no different when it comes to our skin. The question is, why do some of us suffer more from oily skin in the winter, and others suffer with dryness? It seems unfair, between having to glue ourselves to our hot water bottles and getting up when it’s still dark, why should our skin be causing us problems on top of that? You might think that moisturising skin which is already oily is a mistake, how ever oily skin compensates for excess dryness, so keeping it hydrated is KEY. The right moisturiser for you is like getting a bra fitting, it can be a hassle but so worth the results if you’re patient enough. Each and every one of us has unique skin cells, so it can be next to impossible to find the skin regime for us. There are dozens and dozens of moisturisers on the market, but our personal recommendation is to use one with Vitamin E.
Yon-Ka ESSENTIALS have the BEST lotion on the market – it’s an alcohol free invigorating mist for normal to oily skin and contains five essential oils. Their ESSENTIALS range start your beauty regime the right way- with cleansing. They work to gently purity and optimise the effectiveness of your everyday care regimen, and leaves your skin soft and hydrated. Use after cleansing and spray onto the face as a mist in the morning and at night for best results. According to make-up artist Katey Denno, petroleum jelly (Vaseline) can create the illusion of granting us moisturised skin, but actually the substance suffocates your pores. It’s water-repellant and not water-soluble, so it actually just seals the barrier so that moisture cannot leave the skin. Basically you're actually drying out your pores by keeping out the air and moisture, while it's thick texture makes it tricky to cleanse the skin. It's literally a lose-lose, gals. Hot showers in the winter are widely recognised as stripping your skin of it’s essential oils, thereby preventing it from achieving moisture. 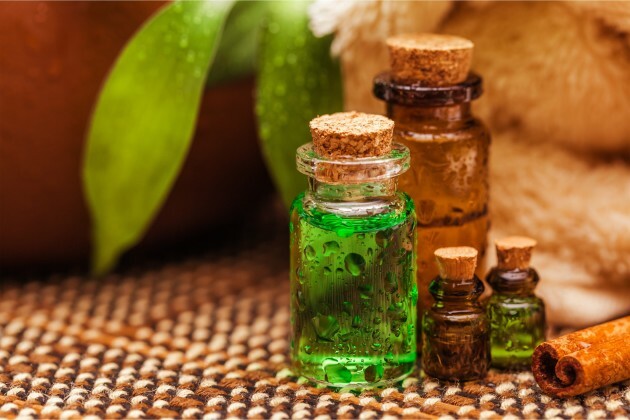 By using tea tree oil with warm water, this makes up for the loss of moisture and brings your skin back to its supple self in no time. Changes in the weather make our pores hella cranky. Environmental causes are some of the major factors in skin issues, meaning that our pores have a bit of a ‘mare in the winter especially. Our skin has its own survival techniques which can be the bane of our facial lives, but really it’s just trying to do it’s job. 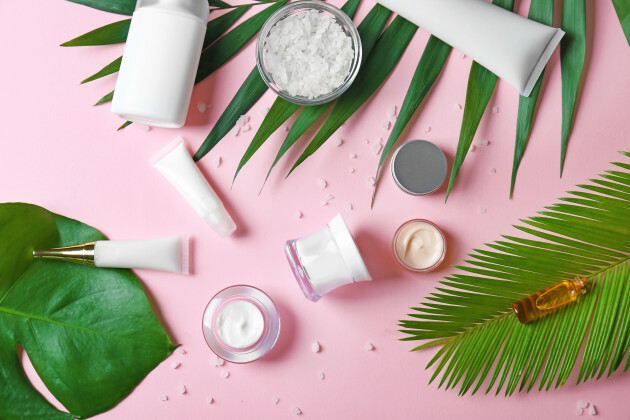 Dry skin translates to an overproduction of sebum and oils, most likely because of the extreme temperate changes from freezing cold outdoors to overheated indoors. 7. Keeping your skin cleansed is a MUST- no matter what type you are. Yon-Ka ESSENTIAL Masque 103 is a purifying, clarifying mask which may actually save your skin, become the love of your life and have your kids all at once. A bold claim for a bold product. This detoxifying mask contains three types of clay which purify the skin, tighten pores, brighten the complexion and leave it with an exceptional glow. Glow up, shine down. It's ideal. Drink as much water as you are physically capable of every day, and your pores will thank you for it- guaranteed. Everyone needs different amounts, the two litres per day ‘fact’ is most likely a myth but if your body is dehydrated then so is your skin, that math adds up. 9. Use a clean towel whenever you are washing that lovely face of yours! You don’t want any bacteria present in the towel to be transferred right back onto your face. 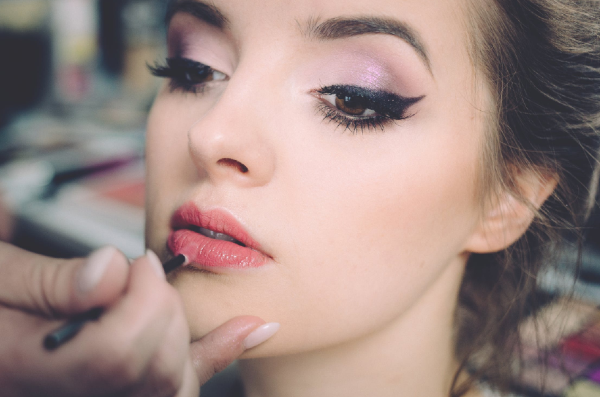 Pat your skin dry instead of roughly trying to rub the make-up or skin cells off. Clean towels prevent oily skin and breakouts, so they’re essentially your undercover guardian angel. Wash them at LEAST once a week, folks. 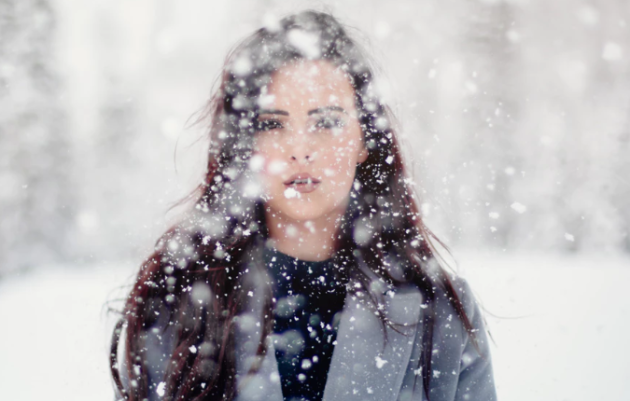 There you have it, nine core tips for surviving the winter with oily skin. Remember that each person is totally unique, and research and discover what products feel right for you. Treat your skin with the care and calm it deserves, you’ll be radiant and glowing in no time without the unwanted shine. It is winter – there is no escaping that now that we're into November. And while that means good news like cosy jumpers and mugs of hot choc, it also means slightly shittier news for people with dry skin. It is the bane of our lives when the temperatures dip and our sensitive skin is exposed to the rain, hail and sleet etc. that an Irish winter comprises of. Read on to gain some tips and tricks to treat flaky skin as the weather changes – you're welcome in advance. First things first, there are a few miracle products that will help your skin to survive the colder months – people with dehydrated skin, meet your new BFF in Derm Acte moisturising serum. Is your skin irritated by various aggressions like the freezing cold Irish weather? Then you gotta try Derm Acte moisturising cream. It helps restore the hydrolipidic film, ensures efficient and long-lasting hydration. Who doesn't love an intense hydration mask? Yonka Masque Intense Hydration repairing is a gel-cream mask that provides immediate, time-released, deep hydration: +54% after 1 hour and +96% after 8 hours It is ideal for sensitive or super irritated skin, whether dry or oily. Also by the same fab brand is a phyto-aromatic healing water – Yonka Dry Skin Toner. It's more than just a toner though, it is a healing mist that refreshes, tones and sanitises the skin. Amaaaazinng. There are so any ways to protect your skin against the elements of winter – even things like prepping your home. Think of it like this – the drier the air, the drier your skin. So why not invest in a humidifier to increase the moisture level in the air? Also, don't forget to buff your skin because dry skin won't f*ck off without some exfoliation first – and it means that the moisturisers and serums will work better then. And last but not least, your diet will always contribute to the state that your skin is in. Walnuts, olive oil and avocados are all unreal for your skin whereas booze and caffeine are not so much. And dry skin sufferers do drink TONS of water and good luck – it'll be spring before you know it. As we salute summer and August goodbye, it's time to get your September skincare in order. The change in the season signals the start of a new skincare routine to tackle the autumn and winter weather. Searching high and low, we sussed out the essentials, from scrubs to skin protectors – to keep your skin in tip-top shape for the second half of the year. 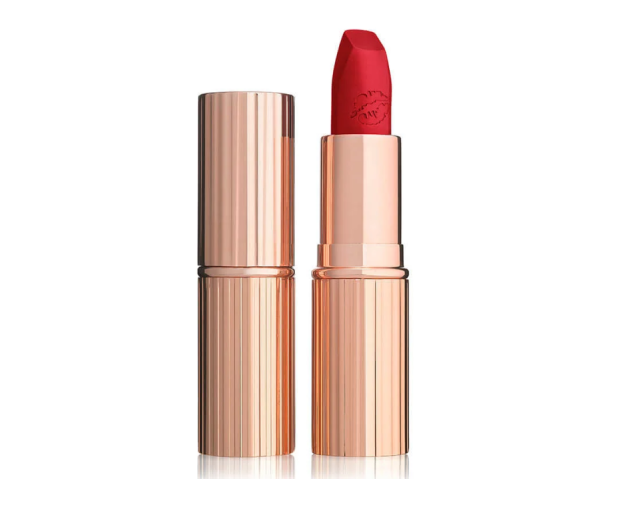 Kicking off our lust list is a hot deal, so you'll need to act fast. For the month of August, Yonka Paris is spoiling us with 20 percent off their SPF's Guarana scrub. The Yonka Guarana Scrub is a triple action exfoliator that purifies, polishes, and invigorates all skin types, while gently cleansing and unclogging pores using micro-beads. On the other hand, if you'd like to start your day with some elegance, Lancôme's Rose Sugar Scrub warms and soothes the skin. The mask is enriched with sugar grains, that instantly melts on the skin for a delicate exfoliation to kick off the day, the right way. Sticking with the morning, and there's nothing more annoying than waking up to a breakout – cue the angry mirror hatred. Fear not, as the wonderful people from Dermalogica have heard our early morning cries. They have developed god sends; a Breakout Clearing Booster and a Blackhead Clearing Fizz Mask to banish and tame that unruly skin. The Clear-Start fast-acting booster helps to kill breakout-causing bacteria for rapid skin clearing. Dermalogica's Clear Start Blackhead Clearing Fizz Mask NEEDS to be your secret weapon in the battle against blackheads. Use it two to three times a week and watch the skin intruders fizz away as it opens pores and decongests skin. Both of these skin heroes are vegan and cruelty-free. Lancôme's Hydration Zen Jelly Mask is the perfect product to de-stress and rehydrate tired skin. 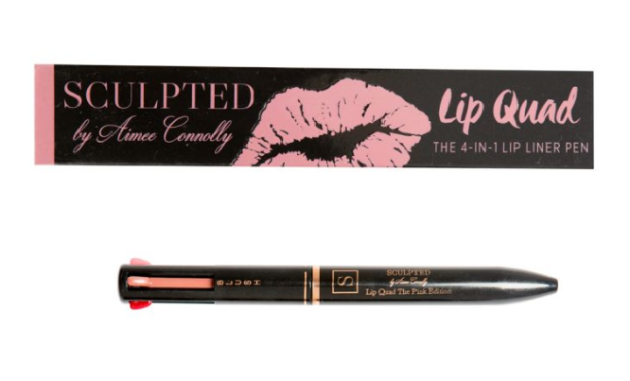 It's infused with peony extract and rose water, and is ideal for sensitive skin. Additionally, you'll need to protect your face from ageing by incorporating Uriage's multi-action cream. The multi-action cream and eye contour protects your skin from daily aggressions such as blue light, UV rays, pollution and fatigue. Before you get some shut-eye, removing your make-up is a must. – I see all you skin sinners who sleep in their make-up. Lancôme's Eau Milcellaire Confort will hydrate and soothe the skin as it takes off your make-up and removes impurities. We are also lusting after Bioderma’s Sensibio H2O Limited-Edition pump bottle which is FINALLY returning to shelves this September. You're in safe hands with Sensibio H2O, as it's the first dermatological micellar water and alcohol-free. However, don't underestimate it as it's powerful enough to remove even waterproof make-up whilst being kind to skin. Contrary to popular belief, winter sun can impact our skin, and it is important you wear suncream even in the winter months. Yonka's range of suncreams come in moderate, high and medium protection – so you're protected no matter where your day leads you. For all those going to Electric Picnic this year, (I hope you can feel the envy through the screen), we have a suncream that you can't leave home without. It's suppose to be a cracker of a weekend, and you’ll need high-performing sun protection that won’t let you down. P20’s Continuous Spray is essential EP product; offering 10 hours of protection, you can hop from music act to music act without worry. For other essential EP goodies, check out this article. Now you have no excuse to allow your skin to suffer this September. We've done all the hard work and given you the essentials that we are lusting after. Thank us later when everyone is complimenting your skin. Life doesn't get much better than Bey blasting, a couple of cocktails and soaking up the sun. However, what you mightn't be aware of is: melanoma is prominent in Irish society. To raise awareness of the skin cancer, Boots is giving us a helping hand to still be sun goddess, but take care of our skin too! Being the absolute lifesavers they are, Boots will be offering a mole scanning service. To encourage a life-long habit to check your moles, the system will be rolled out in ten stores nationwide. Boots engineered the check in conjunction with ScreenCancer UK. The Boots Mole Scanning Service allows anyone aged 18 and over to have their moles or pigmented lesions scanned using a specialist device called a SIAscope. Your scan will then be assessed by a dermatology specialist, and each person will receive a report based on the specialist assessment. If any suspicious lesion is detected, the individual will be referred to their doctor or specialist for follow-on treatment. 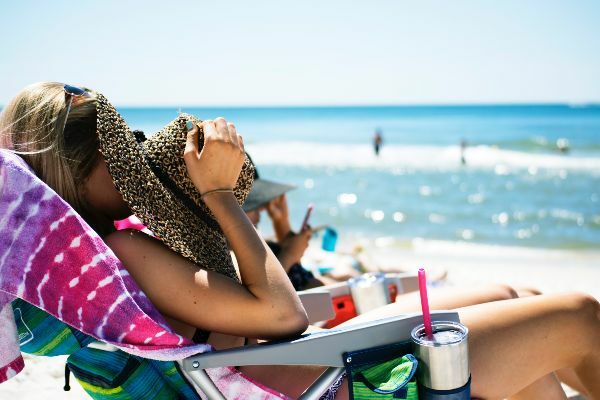 Although you won’t get a skin cancer diagnosis from the service, it will help to identify any suspicious characteristics that may need more expert attention. Melanoma has soared in Ireland and 10,000 cases are diagnosed each year. However, if spotted early, up to 90 percent of cases are curable. Included in the screening, you will also be provided with guidance on assessing your own moles using the ABCDE guide, and given further advice on staying safe in the sun. E – Evolving: Changes in shape, size and colour, itching or bleeding of existing moles, or a new mole. As part of the service, people will also be provided with guidance on assessing their own moles using the ABCDE guide, and given further advice on staying safe in the sun. The Mole Scanning service has been available in Boots pharmacies internationally since 2010. They have scored in overall satisfaction as “good or higher” with 99 percent of respondents and 95 percent saying they would recommend the service to others. The Mole Scanning service costs €39 for one mole scanned, and €19 for each additional mole scan, up to a maximum of four moles. The service will be available in the following Boots stores: St Stephen’s Green, Dublin City Centre, Swords, County Dublin, Castlebar, Co. Mayo, Shop Street, Galway city centre, Killarney, Co Kerry, Half Moon St, Cork, Letterkenny Retail Park, Athlone, Co. Westmeath, Portlaoise, Co. Laois and Wexford, Co. Wexford. Diet, hormones, weather or choice of product: when it comes to our skin, it seems there's a challenge at every turn. 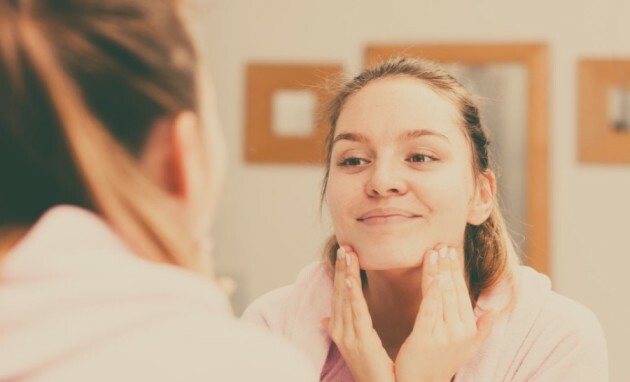 Whether cold weather leaves your skin dry and sore or hormonal imbalances cause you to break out, most of us struggle with some type of skin issue. 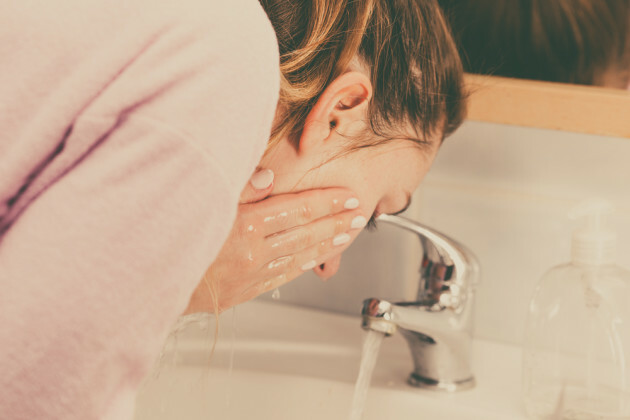 Routine means we don't often take the time to consider what may cause the issues or, indeed, how to treat them effectively, so we reached out to our panel of Dermalogica experts to find out more. Armed with years of experience, a wealth of knowledge and a desire to school us on skincare, they took SHEmazing readers questions, and got down to business. 1. I am 23 years of age. I have always had pretty good skin, the odd break out! But recently. My skin is breaking out, spots, red bumps, etc! I keep my skin really clean, and eat a pretty good diet. I do a lot of photographic shoots, as I am a model, but my skin is really getting me down! What can I do? Try using an oil cleanser as a first step in cleansing. 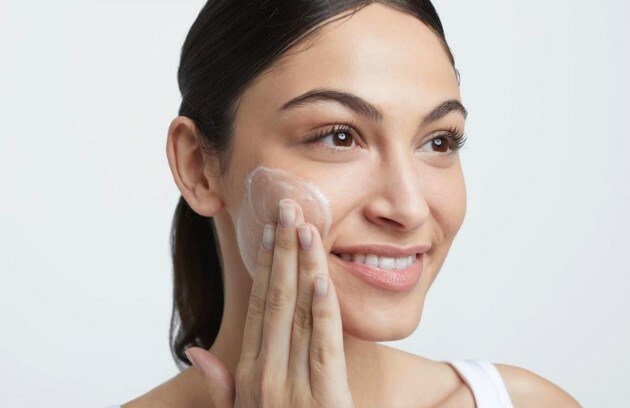 Oil cleansers attract oil and debris more effectively than a water soluble cleanser so will lift off any makeup or dirt efficiently before you follow with the second skin specific cleanser. PreCleanse Balm is a favourite! 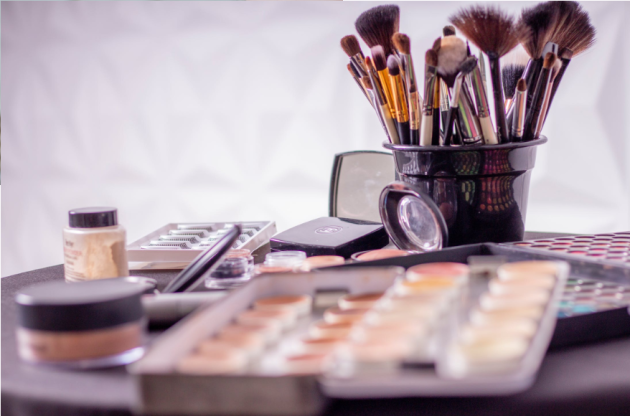 Professional tip is to wash makeup brushes regularly with your cleanser to give a thorough clean and avoid transferring bacteria back onto clean skin. Regular daily exfoliation will polish and help deep clean the skin. Daily Superfoliant contains charcoal which is hugely popular for adhering to grime and pollution giving a polished and resurfaced skin in one go. 2. I have combination skin and no idea what kind of skin care routine I should be doing or what products. I get localised breakouts but also get dry tight skin on my cheeks under my eyes. I think I have deep pores too because I get blackheads quite easy and they're difficult to get rid of. A core regimen should contain double cleanse starting with an oil based cleanser followed by the skin specific cleanser to target your core skin concerns. PreCleanse and a face wash such as Special Cleansing Gel is a great starting point. 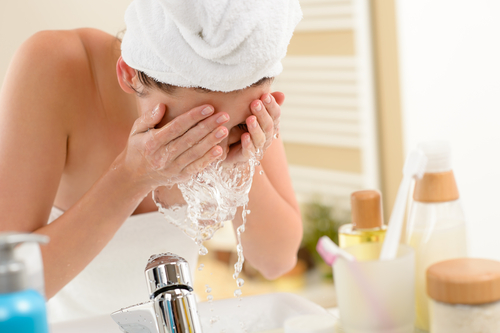 Wash face twice in the morning and the evening for guaranteed clean skin! Dermalogica advocates exfoliation as a critical step in everyone’s routine. Regular daily exfoliation will keep breakouts at bay while smoothing skin surface and helping any subsequent products you are layering on to sink into the skin properly. Hydrating toners make sure you don’t strip the skin but rather add critical moisture. Try Multi Active Toner as a Dermalogica cult classic. Finish with a moisturisers that gives the right balance of water and essential oils without making you feel greasy. 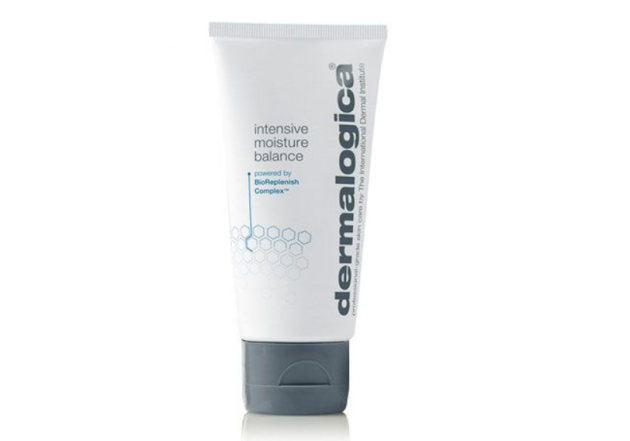 Skin Smoothing Cream is been a top seller for Dermalogica since its creation in 1986. 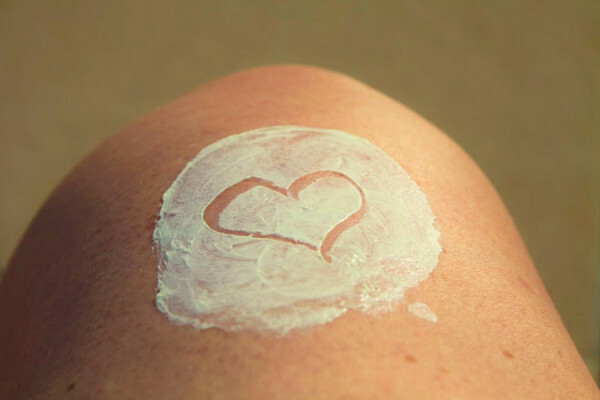 During the day boost your moisturiser with sunscreen to ensure you future proof your skin against skin ageing. Pro tip – spritz your toner throughout the day to help alleviate that tight feeling. 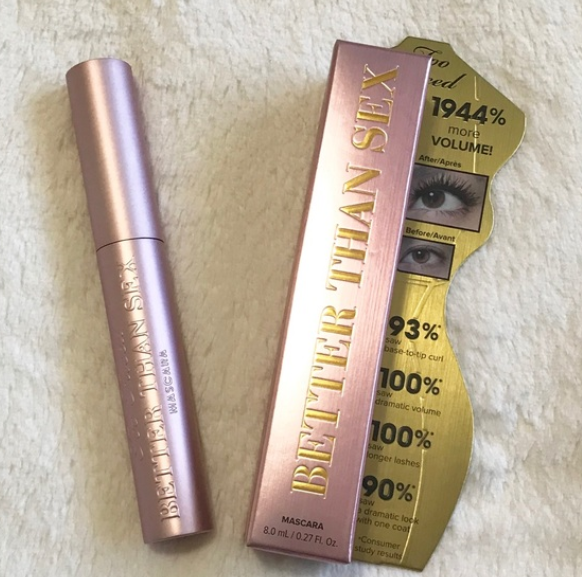 It won’t impact your makeup! 3. I suffer from eczema on my face pretty bad. The skin on my face is so dry it actually hurts. There are red dry patches all on my forehead, my cheeks, my lips, my scalp that travel down to my neck. I have been to the doctors who have treated me with a course of antibiotics, medicated cream but it has just come back. I hate it, it’s so sore it’s horrible to look at and my face has gotten so wrinkly from the dry skin I get irritated every time I look at myself. What can u do to help my skin? Take the less is more approach. Eczema skins lack the natural oils that give a protect barrier to the environment. This means that irritants can penetrate through skin faster causing sensitivity and redness. It also means the skin severely dry and can even shrink back on itself looking more lined. Nourishing formulas are vital to replace skins natural oils. Creamy cleansers such as Essential Cleansing Solution will not strip skin while replacing lipids. Avoid foaming cleansers as they will leave skin uncomfortable and tight. Phyto Replenish Oil is a targeted product that will replenish skin and strengthen that natural lipid barrier. Super Rich Repair is a highly emollient moisturiser that will saturate skin with oils and leave a protective shield protecting skin. 4. I have redness and broken capillaries, I use Dermalogica ultra calming serum. Any other advice would be great. Repeated flushing can lead to constant stretching and shrinking of blood capillaries. 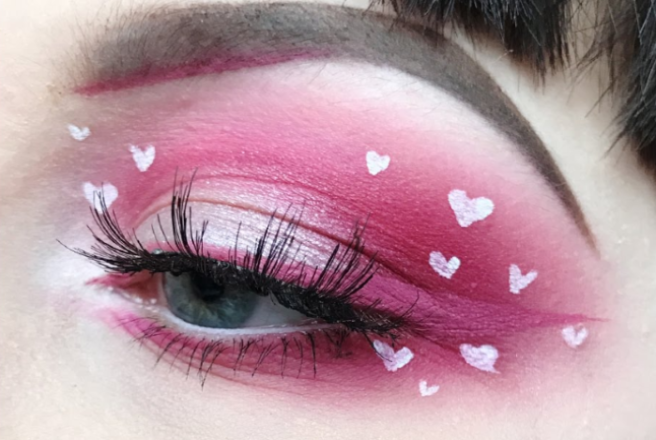 This repeated action can cause the blood capillaries to lose elasticity and eventually stay dilated leading the appearance of broken capillaries on the surface. 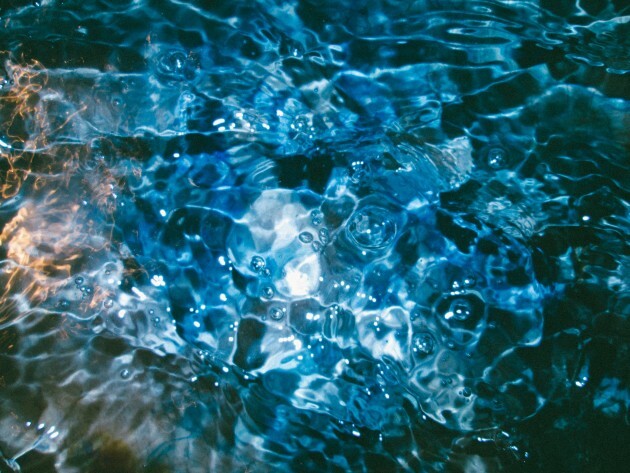 Be conscious of the temperature of water you cleanse with to reduce the amount of flushing induced. Keep it tepid. When cleansing or applying products use less friction and press products into the skin rather than rubbing. Target redness with UltraCalming Mist throughout the day to keep redness down. This reduces the frequency of stress on the blood capillaries. 5. I've had acne since I was 15, I'm 28 now – seems to be getting worse as I get older! I'm on minocycline antibiotic. I have tried the pill, tertralyscal, benzyol peroxide etc and salicylic acid but it didn't work I'm thinking about Spiloacatone but I'm not allowed on roaccutane due to health issues do u have any advice? Try monitoring what triggers breakouts. This often can be linked to stress, reduced sleep, consumption of high glycaemic index foods or even dairy. 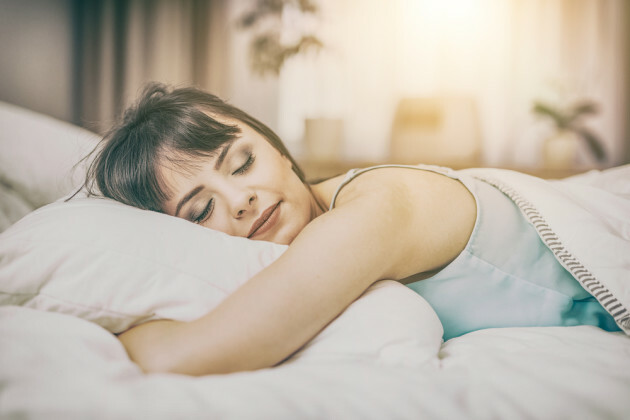 Other tweaks to lifestyle might include changing the pillow case every few days, wipe over mobile phones daily and wash makeup brushes more frequently. Acne often does need long term management which in itself can be stressful. 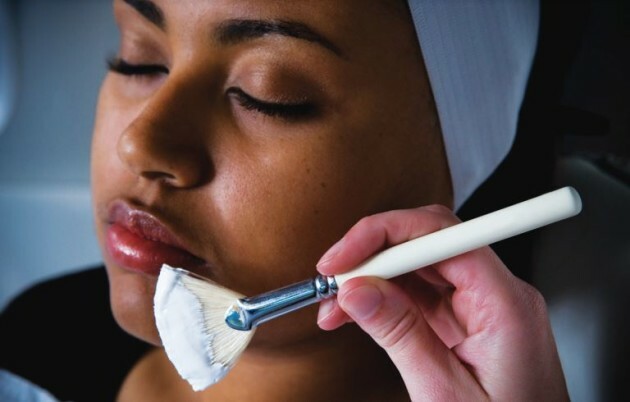 Seek professional skin therapist advise where they will be able to create a customised Skin Fitness Plan which will help you evaluate your lifestyle and at home regimen, along with providing treatment suggestions to boost skin results. 6. I receive constant breakouts and also have many black heads on my chin and even when I get facials and have them removed they come back as little lumps and have never seem to disappear. Would love some help to figure out what these are. 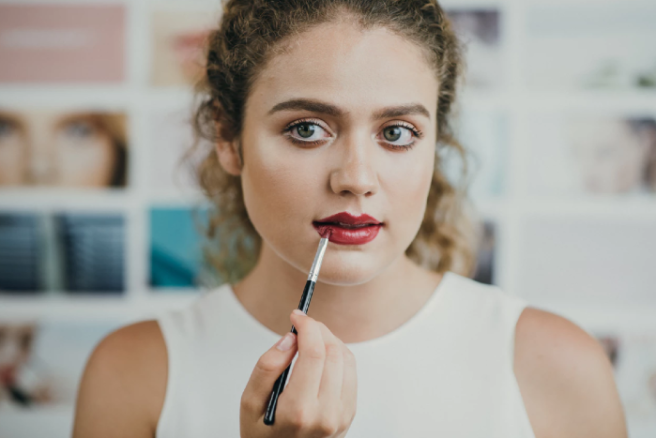 Check makeup and skin care for any comedogenic ingredients which aggravate the inner lining of pores producing extra skin cells, oils and ultimately blockages in the form of blackheads and under surface bumps. 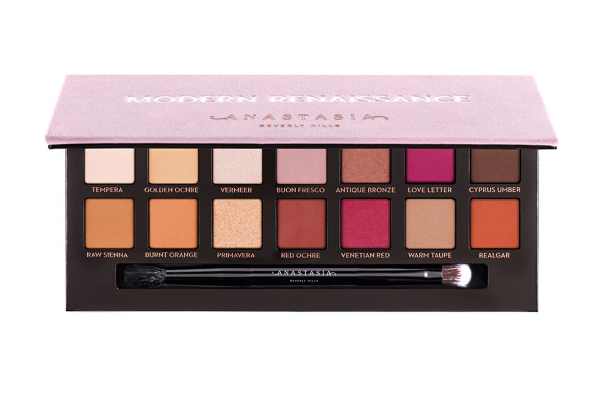 Artificial colours will be found in many foundations and will be listed on the ingredient listing as D&C dyes along with an allocated number. Mineral oil or paraffin liquiduim is an occlusive ingredient that can trap naturally shedding skin cells and cause blockages. Finally isopropyl myristate gives formulas a silky feel but can be very aggravating on skin. 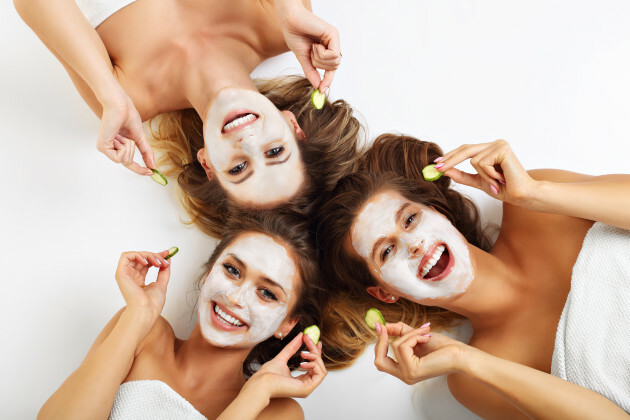 Use of ingredients such as salicylic acid in daily cleansers or exfoliants will help clear our pores for a smoother skin surface. 7. I get oily skin, redness and spots. My skin is very sensitive. Any ideas? Always treat sensitivity as a priority. Focus on hydration and adding water through oil free moisturisers. Sensitive skins natural protective essential lipid barrier is often depleted so water is lost from the surface. When skin becomes very dehydrated it can often lead to producing more oils to help keep skin well lubricated. Balance skin with moisture without adding oil and this should help treat oiliness and relieve sensitivity. 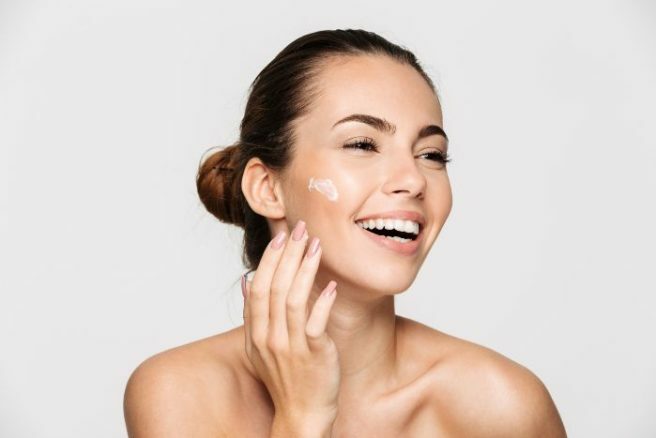 Target spots with mild topical products that directly treat the actual breakout rather than altering the entire regimen to target breakouts so not to disrupt general sensitivity. 8. Sore red and white spots around mouth and below nose above mouth, dry skin around cheeks and nose and forehead and blotchy discolouration around face. Often skin can display multiple conditions that may or may not be connected or interlinked. When having multiple skin concerns always start with targeting sensitivity. Use products that will reduce inflammation and stabilise the balance between oils and water on the skin to bring it back to its natural protective state. 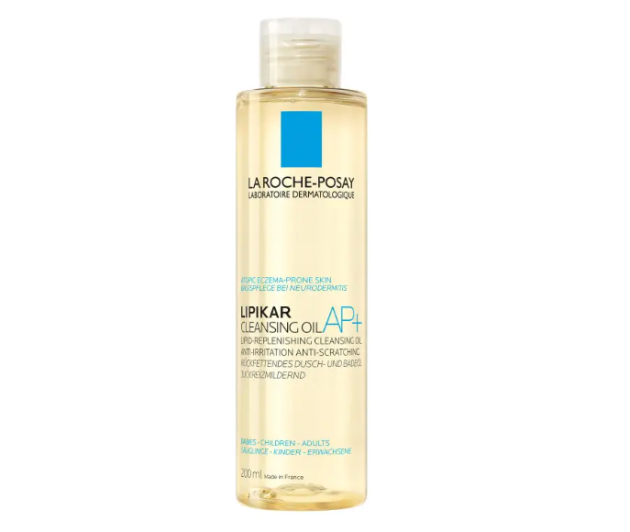 A core regimen of cleanser such as UltraCalming Cleanser will clean without aggravating. Barrier Repair will soothe while restoring the dryness around the face. MultiVitamin Power Recovery Masque, referred to by Victoria Beckham as ‘An Ambulance in a Tube’ powerfully soothes skin while restoring vitamins to leave a healthy, glowing skin. 9. What do you recommend for reducing the appearance of broken veins and also fine lines around the eyes. Broken veins are often a result of constant dilating and contraction of the blood vessels in the face. 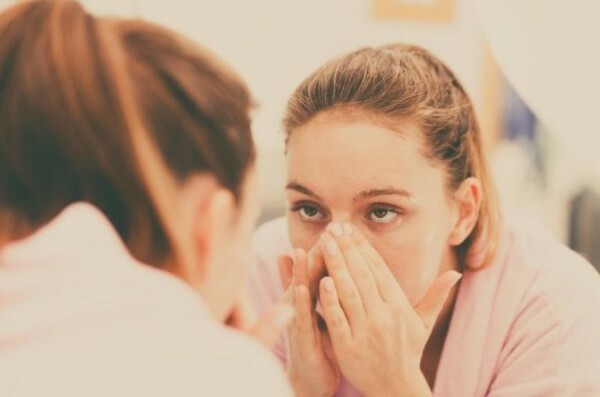 This can be genetic where skin naturally flushes easily or from environmental factors such as changes to climate or being in central heating and air-conditioning repeatedly. Keep skin calm with spritz toners that reduce redness and minimise the length of time the skin is red. Topical product is unable to realistically remove broken veins but certainly can prevent them from getting worse. At 0.5mm thick, the skin around the eyes is one of the thinnest on the body, making it one of the first areas to show the signs of ageing. 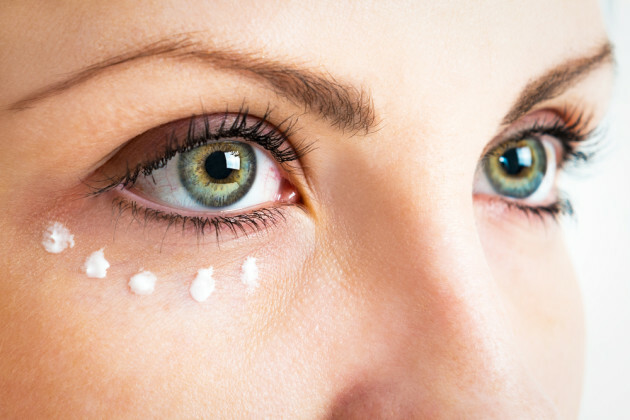 Using eye products which strengthen the skin and the deeper structural proteins such as collagen will help keep skin resilient and firm. Retinol is one of the best known ingredients to target ageing. 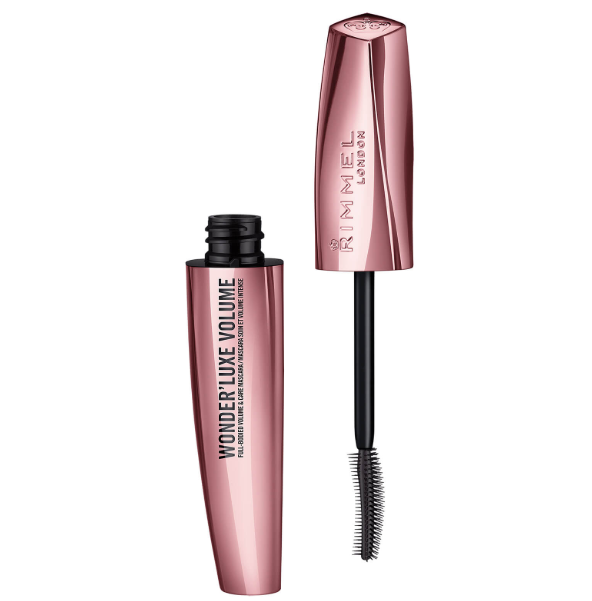 Only use formulas designed for around the eyes to ensure the percentage is buffered for this sensitive area. Initially skin may need to build tolerance but this ingredient is sure to get results like no other. 10. My face and arms go very red when I get too warm like if I run or stand near a Bunsen burner and they get very itchy think it might have something to do with my smaller pores but I'm not sure. 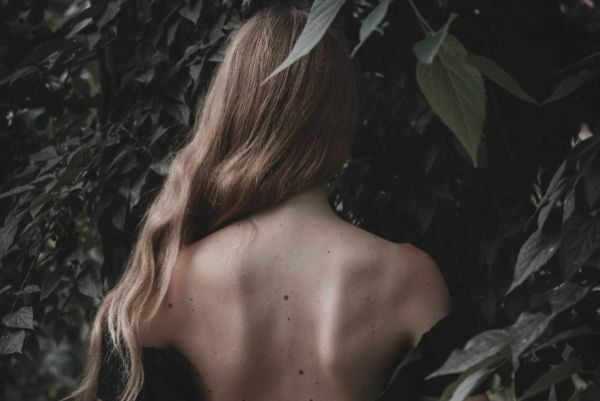 Sounds like your skin may be genetically sensitive. Sensitive skins have more reactive blood vessels that easily dilate in response to heat. This can be heat from external factors such as environment or internal body mechanism such as cooling the body from exercise. One our skins primary functions is temperature regulation. It does this through dilating blood vessels to release heat. In sensitive skins there is also a higher level of histamine. This pro inflammatory chemical is designed to help promote positive inflammation in response to injury or invaders. Due to the higher level of histamine this is an over-response causing itching on the skin. Unfortunately we can only try manage sensitive skins. Using products that help build skin tolerance such as Ultra Calming Serum Concentrate will improve skin resilience to external and internal factors.